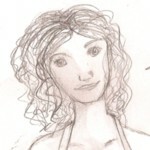 Click thumbnail pictures to see the entire drawing. 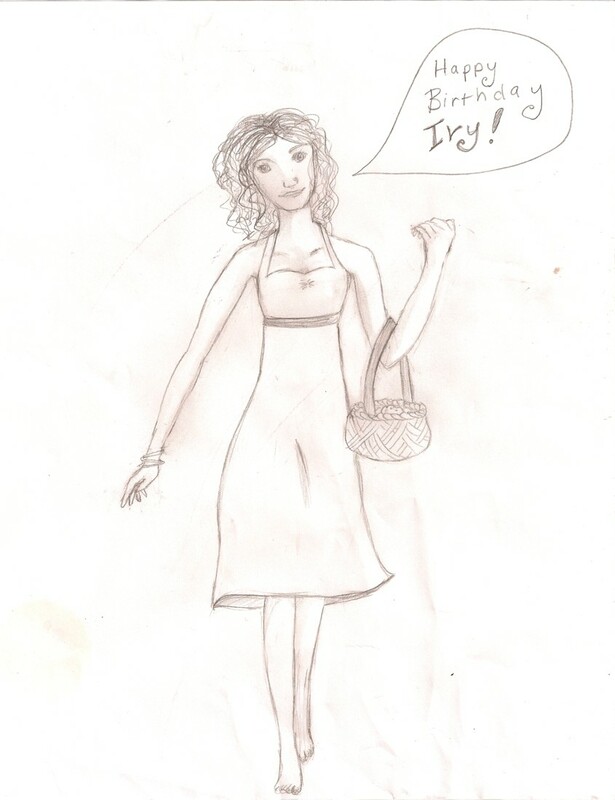 "Birthday Fanart": pencil doodle of the main character with her basket. 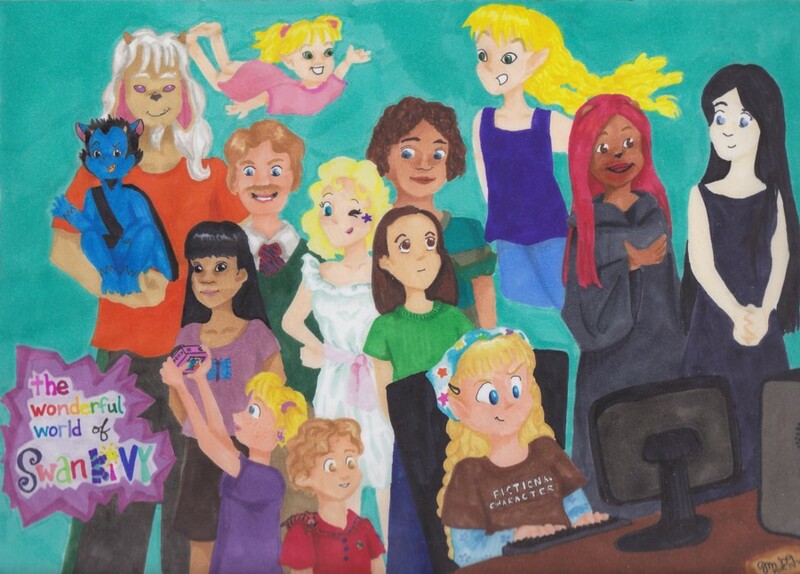 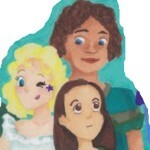 This is Cassie, Dia, and Jamie, cropped from a larger drawing called "The Wonderful World of SwankiVY." 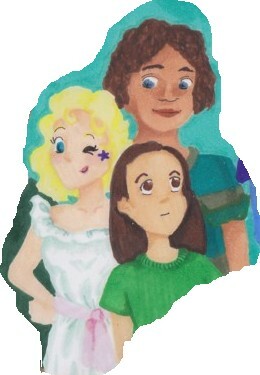 MS Paint doodle of the dreamland characters Dia and Mulligan.